Game Freak's Giga Wreck Alt. is officially heading to Nintendo Switch. Rising Star Games have finally announced that Giga Wrecker will be coming to Nintendo Switch, Xbox One and PlayStation 4. 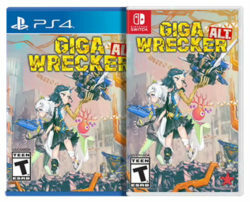 Officially titled Giga Wrecker Alt. the console port will also be receiving a limited physical release through Limited Run Games. Rumours that Giga Wrecker Alt would be heading to Nintendo Switch began earlier this month when the game first showed up in the Taiwanese rating board listing. Now, thanks to Rising Star Games latest announcement, the upcoming release has finally been confirmed. Although no official release date has been provided yet, Giga Wrecker Alt will be “coming soon” to Nintendo Switch and other consoles. In addition to a digital release, Nintendo Switch and PS4 owners will also be given the opportunity to purchase a physical edition of the game. The limited physical release will be available through short-run provider Limited Run Games at some point in the near future. 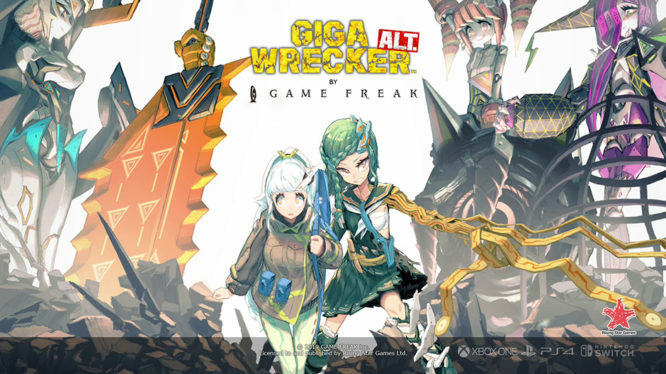 Giga Wrecker Alt is 2D action adventure title developed by Game Freak, first released on PC in February 2017. The game follows the story of a girl-turned-cyborg who can manipulate any surrounding debris. Set in a world that’s controlled by evil robots, players must construct weapons, create new paths, and fight of the robotic invaders.